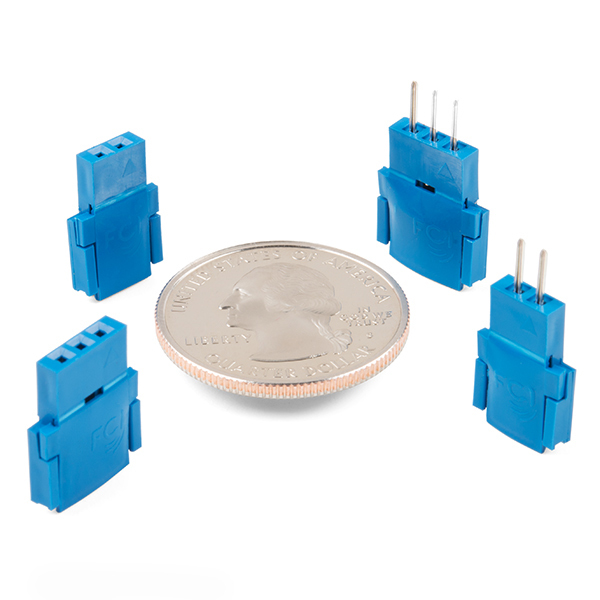 These Clincher connectors from Amphenol FCI can be used to terminate Flat Flexible Cables (FFCs) to an easy-to-use standard header. Simply insert the end of the cable into the connector and press it closed. The teeth inside the connector will "clinch" around the conductors and break them out to two male 0.1" spaced pin headers! 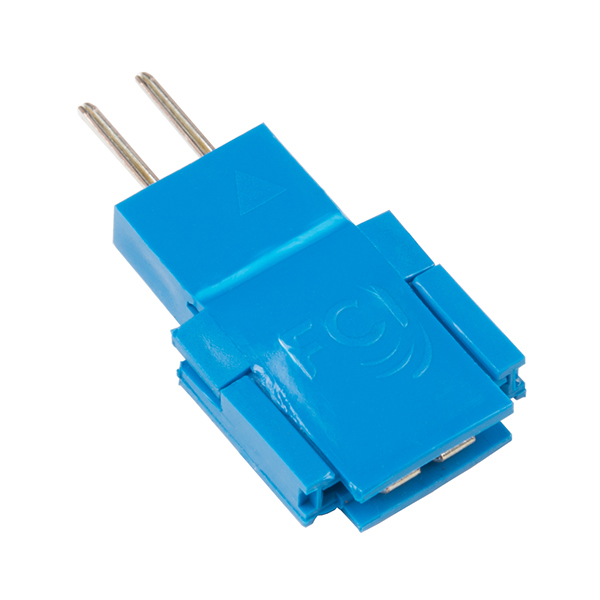 Though the Clincher connector can be used with FFCs, we also like to use them with our FlexiForce sensors and other flex/force sensors found in the Recommended Products section below. Note: Please be aware that we will not be able to accept returns on this connector if it has been closed. Sorry for any inconvenience this may cause. How to hook a force-sensitive resistor up to an Arduino to measure pressure variances. 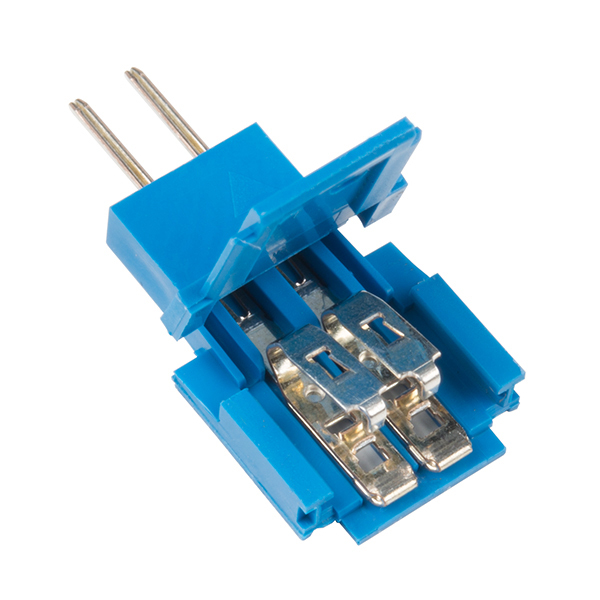 These do not work well for clamping the pins on any of the flex/force sensors that sparkfun recommends. The pins on the sensors are way too stiff for the connector and bend out of way. 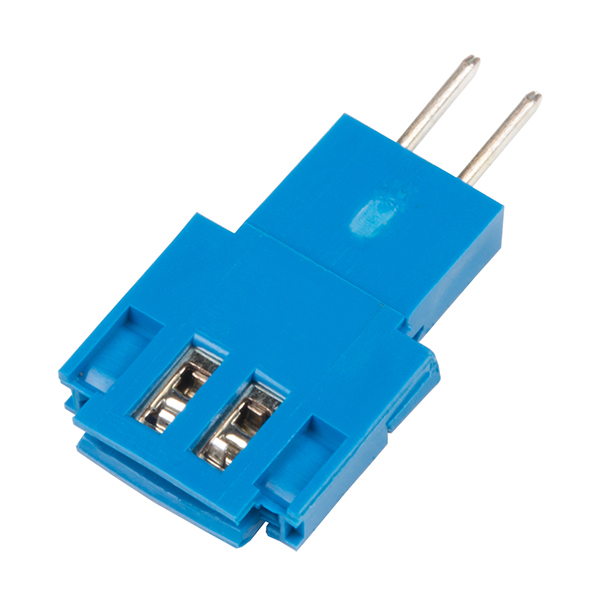 This connector is really meant to penetrate the flex circuit directly. The pins attached to the sensors are already spaced correctly for header so this isn't really doing anything anyway.